Dino Marten, born in the year 1894, was an Italian artist of excellent prowess in painting and designing. He presented his paintings in the Venice biennale from 1924 to 1930. His paintings diverted from traditional ones and exhibited a character of their own. He learned his art from Accademia di Belle Arti di Venezia. 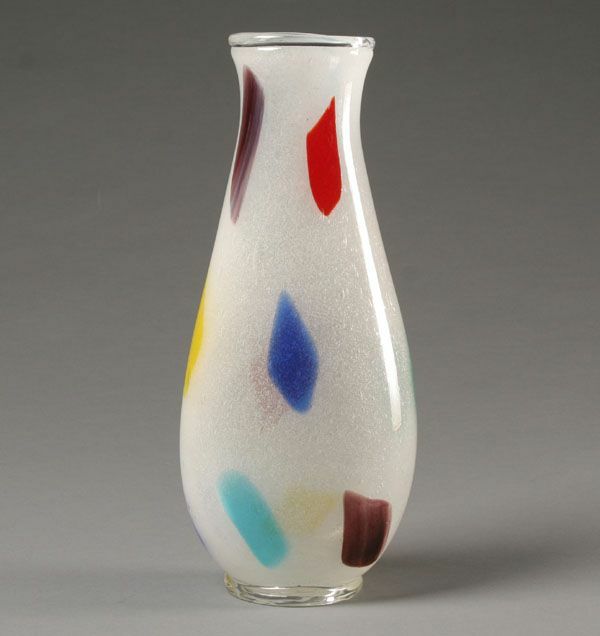 In 1939 he joined the Auriliano Toso glass works. Here he was able to express his art using the very difficult medium of glass. He worked as a designer in Auriliano Toso till 1960. During these years he combined his artistic vision with the age-old glass blowing know-how of the Murano maestros. 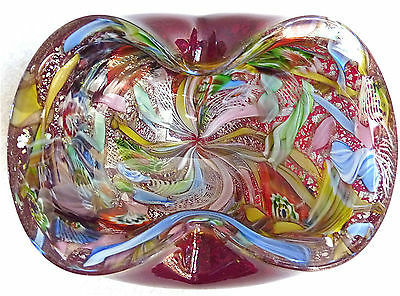 He was able to give a new dimension to murano glass design s.
His works were mostly to do with vases and small vessels. His work consisted of polychromatic designs. He experimented with the aventurine technique with copper and gold flakes. 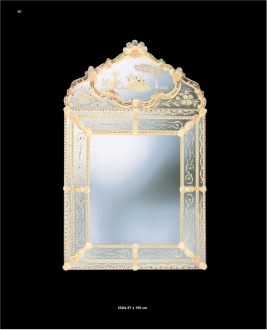 Zanfirico was another Murano technique which was given a new face by Dino Marten. The created unique murrines and fused the same with his characteristic vases. He created Zan firico pieces using plaques made by cutting through colored glass rods. He arranged these plaques on a metal surface so that they can be heated to fuse together. 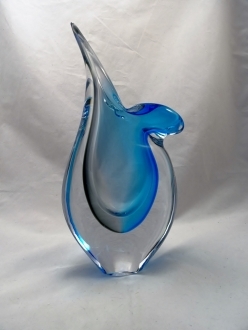 This mass was then hand-blown to produce incredibly beautiful glass vases . A nother of his work was using enamels. Molten vases were rolled in enamel powders. This technique was not at all new to murano glass artisans. But directed by Dino Marten, the art took up an altogether different aspect. 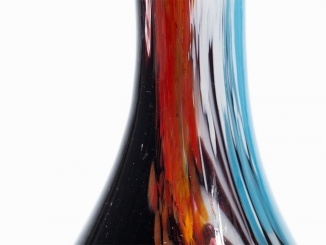 Dino Marten could effectively fuse abstract art with Murano’s traditional glassblowing. 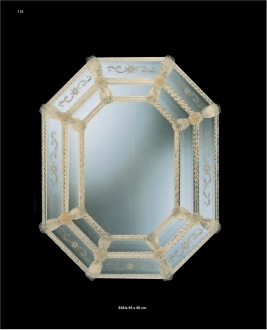 While he was with Auriliano Toso, he developed a new range of glass sculptures which were known as ‘Oriente’. 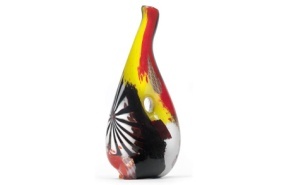 These vases were characterized by their lively colors and fluid designs. Most of them were marked by deliberate asymmetry. The designs showed an element of modern abstract art. These vases were the main attractions during the Venice Biennale of 1952. Dino Marten pieces were highly admired and extremely popular while they were in production. They started a new trend in glassmaking. They were admired the world over and this fact inspired many fake productions. 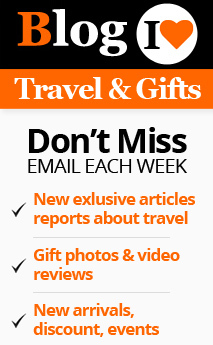 Now these pieces are considered to be rare and invaluable collectables. But the collectors have to be very careful while buying them, for the simple reason that innumerable imitations have pervaded the market. 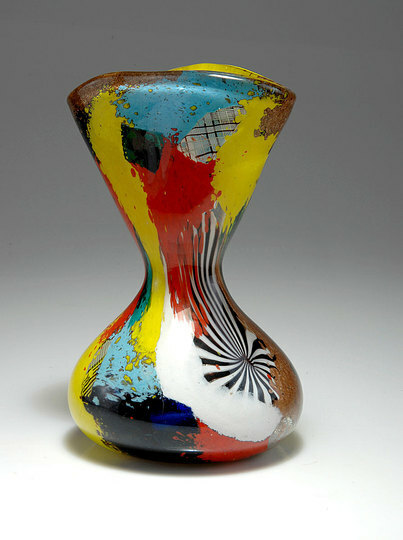 But Dino Marten vases do exhibit a rare perfection in coloration. This great artist passed away in 1970. Height: 80 cm" Length: 65 cm"